The Strategic Mission Vision Oversight Team reports the following progress for December. Lenten resources have been sent to congregations and are available online. The dinner church model was introduced at Theo-Con ‘17. 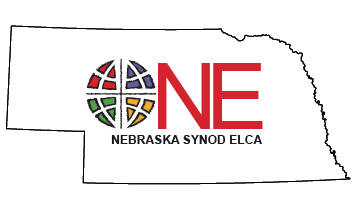 The “We Are Church” Working Group is looking at ideas for promoting the Lenten discussion/study series as well as developing evaluation/feedback forms for congregations to share their experiences in using the series. They will also discuss the possibility of promoting spring service events in congregations similar to “God’s Work. Our Hands” in the fall. The Synod Ministry Assessment Team has begun meeting to discuss how best to achieve the priorities of the Strategic Vision Plan. Three to five priorities are to be identified against which ministries may be assessed. The “We Are Lutheran” Working Group has begun meeting to work on plans for the 2017 Assembly and the 2018 Lenten curriculum. The Young Adult Working Group plans to produce a series of brief videos for congregational use on connecting effectively with young adults. ALT Year Director Josh Graber met with the group at Theo-Con, sharing conversation about interview tools and survey options. The Seniors Working Group has formed and has begun meeting. Opportunities for connecting with the 2017 Journey have been discussed, as well as other ways to encourage the gifts of and connections with seniors. The Synod Council approved date changes for goals B.5 Forming Intentional Conversations from Q3 2016 to Q2 2017 and B.6 Mission Strategies from Q2 2016 to Q2 2017. The Assembly and Theo-Con Planning teams will be part of implementing this goal. A redrafted Goal B.5 was approved by the Synod Council, to utilize existing tables and task forces in implementing the goal. Ecumenical Prayer Services are being planned through the Reformation 500 Team for Spring 2017. The Oversight Team continues to meet monthly to review progress.